Home Policy Wording Explained What is Industrial Action? You’re all set to head to the airport, but your airline has just announced a strike is due to take place so your flight may be delayed or cancelled – not the start to your holiday you wanted. Industrial action, or a strike, can take place with little or no warning. Cabin crew, airport staff or air traffic control are all know for striking and causing havoc to travel, but if your journey is affected, what compensation are you entitled to? Are strikes and industrial action covered by travel insurance? Generally speaking travel insurance will not cover the cost of alternative transport for you to reach your destination due to disruptions caused by a strike or industrial action that has been announced before the date of your departure or before you purchased your travel insurance policy. Having said that, some travel insures will offer a small amount of compensation for refreshments following a flight delay, provided you are already checked in. This compensation is usually available after a set period of time, for example; £10 for every 12-hour period you are delayed up to a total of £150. There are some travel insurers that will offer a higher amount of compensation, available after six hours of delay, so this may be something to look out for. More information on general flight delays can be found here. It is worth noting, if a strike has been announced and will affect your journey you should contact your airline before heading to the airport. If you are unable to make alternative travel arrangements to reach your destination, you may wish to cancel your holiday, and go to another destination or at another time. Most travel insurance policies will not offer cancellation due to strike action, however some policies will offer ‘cancellation for any cause beyond your reasonable control’ and may refund the cost of any pre-paid non-refundable expenses such as; excursions, car hire or accommodation if the policy was purchased before the strike was announced. 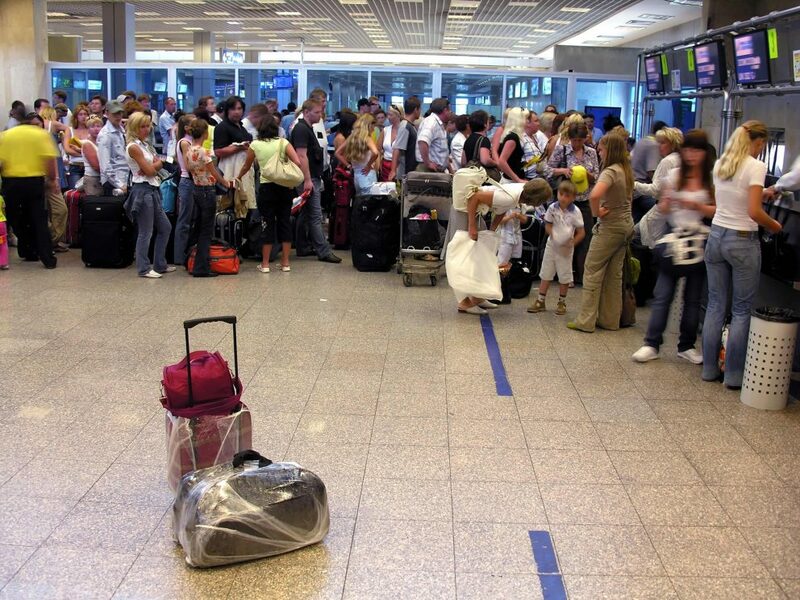 Will my airline compensate me for delays due to a strike? Airlines have a duty of care to customers to provide assistance if the delay is expected to last for a certain period of time. This assistance may include; telephone calls, accommodation, food and refreshments. When the delay is due to strike action, this may not be the case. Strikes can be classed as ‘extraordinary circumstances’ (situations beyond the airlines control such as adverse weather and certain industrial action), if they are due to a third party such as air traffic control or airport staff, and airlines are not required to offer compensation. If the strike is not deemed an ‘extraordinary circumstance’, i.e. the airline’s staff go on strike, under EU law airlines must pay their customers compensation. Compensation will only be given if you are flying with an EU airline and the amount of compensation will depend on the length of the flight. Visit the CAA website for more information. If my flight is cancelled due to strike action, will I get any compensation? According to the Civil Aviation Authority (CAA) if a flight is cancelled due to the airline’s staff going on strike, and the airline has not given its customers at least two weeks warning, they are required to pay compensation for cancellation or delays. Under EU legislation there may also be a re-route option available if your flight has been cancelled due to strike action. If the airline is unable to arrange an alternative flight on the original departure date or the day after they are required to book you a replacement flight with another airline, at their expense. Can I claim compensation for train strikes? So, we now know the compensation available if you are travelling by air but what about rail? Rail strikes can also cause major delays and disruption for travellers so it is important to know what compensation you are entitled to. Most rail companies will offer a full or partial refund for your journey if you experience a delay of either 15 minutes or more or 30 minutes or more depending on the company. Having said that, if a strike has been announced or the rail company does not supply a replacement service and you have already purchased your travel ticket you are entitled to a refund but not compensation. In addition, if an emergency timetable is in place you can only claim compensation based on the emergency timetable and not the regular timetable but the amount of compensation will differ between companies so it is worth checking. Am I covered if my train is delayed due to a strike and I miss my flight? For ease, many choose to travel to the airport via rail services rather than facing the motorway. 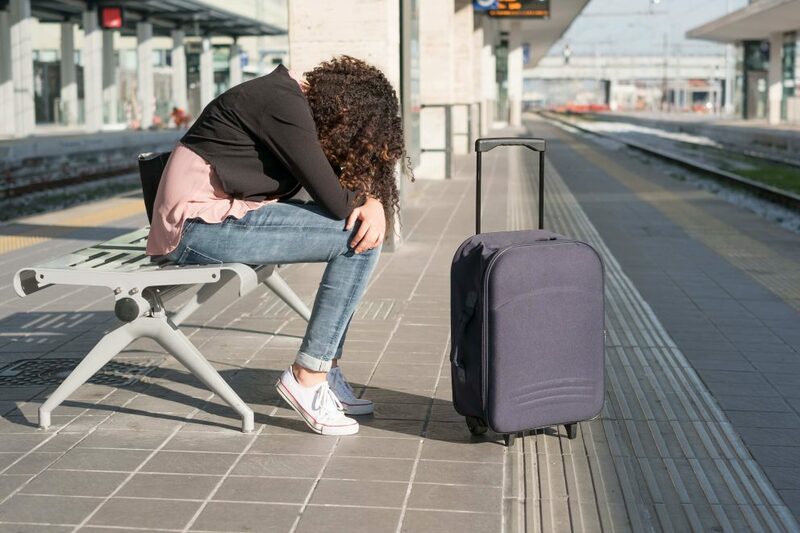 Whilst this may save time, and stress, under normal circumstances, if a rail strike was to occur you could find yourself not being able to reach the airport in time leading you to miss your flight – but is this covered by travel insurance? If the rail strike, or any public transport strike, was announced before you left home you would not be covered for missed departure under your travel insurance policy. This is standard across all travel insurance policies, so it is always worth checking your transport situation in advance and allow enough time to make alternative arrangements.